Your iPad can help keep you and your family healthy — at least, if you use these apps. From diagnosing medical issues to checking your vision, you can use these apps to improve the quality of your life. 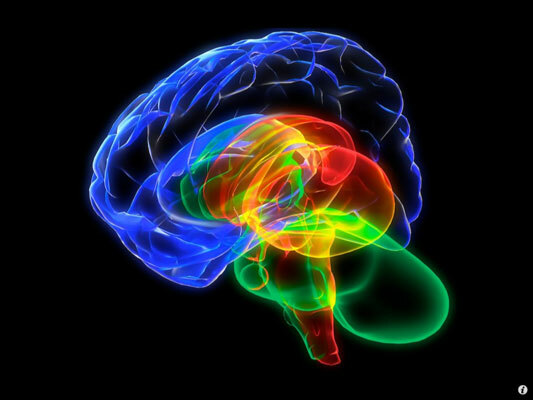 3D4Medical’s Images — iPad Edition is little more than a bunch of gorgeous pictures of various parts of the human body, along with a few images pertaining to the healthcare industry. Navigation in this app is very straightforward. The home page contains thumbnails of every image, and you can swipe up and down to see more. Tap a thumbnail to see the full image, and you’re off. 3D4Medical’s Images has several conceptual images of the male reproductive system, and a couple of images of the female breast (though oddly, there aren’t any images of the female reproductive system). If you’re sensitive to that sort of thing, you may want to skip this app. 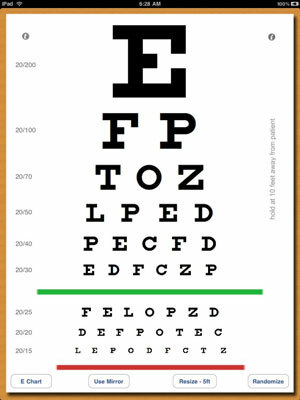 Eye Chart Premium includes three different eye charts, the Snellen Chart (which you can see in this figure), Tumbling E Chart, and Landolt C Chart. The Tumbling E Chart is used for patients who can’t read or when there’s a language barrier. This chart uses only the letter “E” that points in all four cardinal directions. The Landolt C Chart is similar; it uses the letter “C” facing in four directions. WebMD for iPad is basically an app-based interface for the information you can find on the WebMD Web site. It allows you to look up symptoms and conditions and research drugs, and it offers a lot of first-aid information. The app also now provides a Google Maps–based tool for finding healthcare services, including physicians, hospitals, and pharmacies. In other words, it’s a great one-stop shop for a lot of medical information! 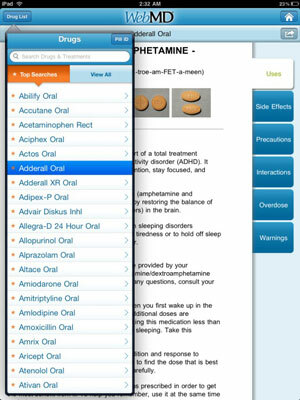 One of the most important features in this app is the extensive database of prescription drugs. You can find information about how each drug is used and what it is prescribed for, side effects, precautions you should take, interaction issues, and what to do in the case of an overdose (which also includes information about storage and missing a dose). Better yet, many of the drugs include pictures. If you ever need to identify a drug, this will be important to you. You can even look up drugs by shape, color, or the drug’s code, which will be imprinted on it (and on the bottle).